Britain’s Fort Knox will be guarded by the firm that mishandled security at the 2012 London Olympics so badly that the military had to be called in to cover them. The news comes as it was announced the Ministry of Defence (MoD) Police, which has traditionally guarded the Royal Mint’s facility in Wales, are being pulled off the job. G4S told the Financial Times it has secured a five-year contract, plus a potential two-year extension. 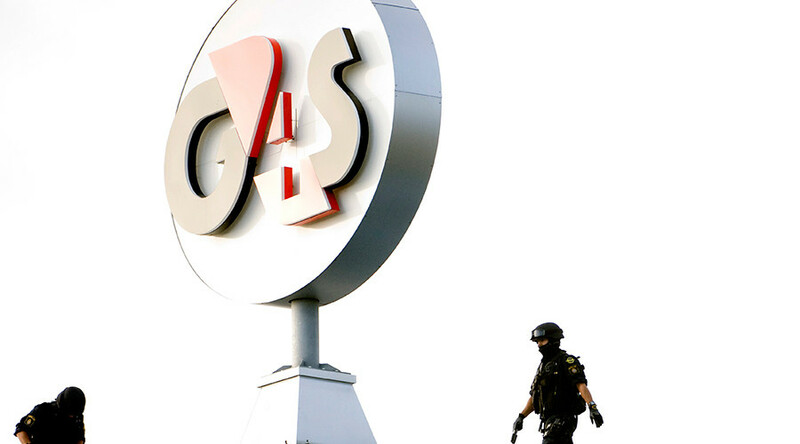 Critics of G4S have no shortage of ammunition to throw at the security giant, which is struggling to recover from a raft of reputation-tattering scandals. Besides the Olympic debacle, in which military personnel had to be called in to secure sports venues contracted to G4S, the firm has drawn fire on multiple occasions. In January it was gripped in a deepening child abuse scandal, leading watchdogs to suggest that its young offenders’ facility in Kent be scrutinized by an independent commissioner and all wardens dealing with children be issued with bodycams, it has emerged. The call came after a BBC investigation claimed staff slapped a teenager several times in the head, pressed heavily on the necks of young people during restraint, used foul language and stabbed an inmate in the leg with a fork. In March the firm announced it was shutting down its Israeli prison operations. The move came after pressure from human rights campaigners. The company previously supplied security equipment and services to Israeli prisons, checkpoints and settlements in the West Bank. In 2014, human rights NGO Reprieve tendered a formal complaint to the UK’s Department for Business, Innovation and Skills (BIS) in relation to the firm’s work at the US prison camp at Guantanamo Bay. The complaint alleged G4S services were contributing to “ongoing human rights violations” at the notorious detention facility on Cuba.